Since 1995, Horticultural Services of South Florida, Inc. has helped commercial businesses, property managers, and HOAs save money on water while enhancing the value and appearance of their properties. These days, it is important to save water (and save money) while complying with water restrictions. 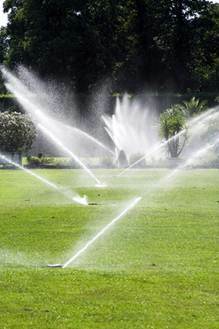 Let us review and repair your irrigation system so you can start saving water and money today. Whether you need a complete installation, new pumps, new pipes, or new sprinkler heads, call us for the best service and warranties available. We complete most repairs in one easy visit. Call Nick today; you will be glad you did! © 2011, Horticultural Services of South Florida, Inc. All Rights Reserved.